SAL Logistics is equipped to handle over-dimensional shipments safely, whether they are moving overseas, locally, or anywhere within the country. The company is well versed in the required permits, legal restrictions and necessary equipment to ensure the smooth transit of over-dimensional freight anywhere in the world. 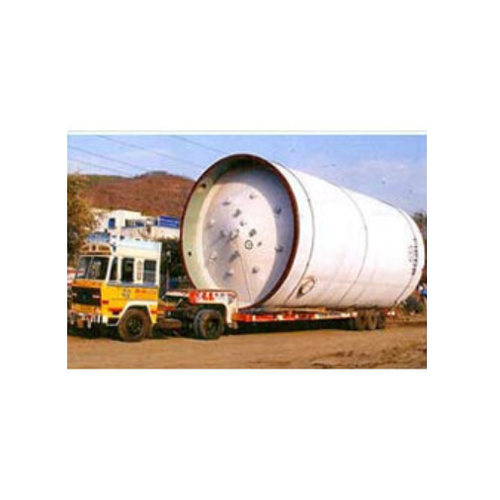 Specially designed containers and material handling equipment are used to carry Over Dimensional Cargo (ODC) and Over Weight Cargo (OWC) such as oilfield equipment, power plants, compressor stations and so on. For bulkier cargo, special equipment with larger capacity is used. We have well maintained transport facilities to move the ODC and overweight cargo from your factory to the gateway port or vice versa. SAL Logistics moves millions of pounds of cargo with unusual requirement for handling / hauling, rigging / securing expertise, and complex planning / scheduling. The company's expertise in the area allows it to develop a comprehensive strategy that takes into consideration every facet of the project, from freight evaluation and carrier selection, to site surveys and route clearances. This results in considerable savings in both time and cost for our clients - and the avoidance of costly mistakes common with the transport of over dimensional cargo.